What if you could finally build a freelance business that lets you take control of your life? … you have no idea how to consistently find clients. … you're not sure what clients are willing to pay for. … you're tired of feeling like no one wants to pay fairly for your work. … or you're just plain overwhelmed and don't know where to start. I freed myself from the corporate world over a decade ago by deciding to start building websites as a freelancer. This journey lead to the freedom and time to travel, work on my schedule, and building the business up to 6 figure profits. But when I started freelancing, I had no idea what I was doing. My own freelancing journey started very abruptly. One day I sat down to my desk at work only to find that my computer login no longer worked. The startup that I was working for had run out of money. I was laid off, effective immediately. I was shocked. And frankly terrified. That job was my income, and my bank account was dwindling rapidly. I wasn't eager to repeat the soul-crushing "corporate experience" that I had just been ejected from. So I figured why not try to find my own clients and freelancing for them? Instead of diving back into a cubicle? I started telling everyone I met that I built websites. It didn't matter if you were a friend, cashier at a store, family, or even a barista serving me coffee. Pretty soon I met someone that did need a website. And they were willing to pay me the princely sum of $300 to build it for them! Soon I found another project! A local business owner had no idea how to get online but knew the internet was important. By the time I had walked out of his store I had spent $40 with him, but he had written me a check for $700, payment upfront for a website. Pretty soon I was meeting clients at local coffee shops, building websites in my basement apartment, and starting to grow a client base. And I had almost complete control of my schedule, doing client work at the times that suited me, and never having to "wait out the clock" just to get paid. Oh and my rates were going up the whole time too. Today my website services start at $20,000. A decade later that one decision to find clients instead of another employer has allowed me to create a life that I never dreamed of. Deciding to go out on my own has created the time, location, and financial freedom that makes me thrilled to wake up everyday (without an alarm clock of course). 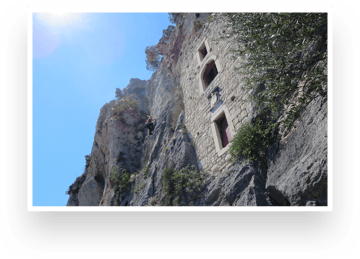 Living in Croatia for a month to rock climb by day and get client work done in evenings. Proposing to my wife while hiking through the Tatra Mountains on a 2 month tour of Poland. Ice-climbing and dog-sledding in the Canadian Rockies for our honeymoon. Have both the time and money to build a giant workshop in my house and spend my evenings woodworking. 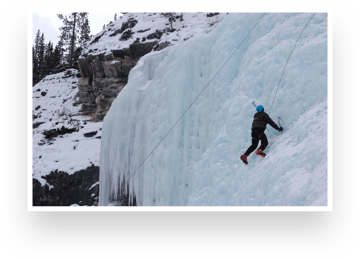 Ice climbing in the Canadian Rockies. Spending mornings rock climbing on sea-side cliffs in Croatia. Getting engaged on a 2 month trip through Poland because why not? Working with freelancers, I quickly learned that it's not a lack of information that holds people back from building the freelance business that they desired. The problem is a lack of guidance, a blueprint, on how to put it all together into a step-by-step plan. Freelance Start is that missing blueprint. From figuring out who your ideal client is to building a consistently growing client base, everything has been broken down for you in as much detail as possible. As a direct result of this course, by engaging my networks and following Matt's advice for writing proposals and conducting client meetings, I have already signed two significant clients that are each a great fit for my expertise. Further, I have begun building a network that is generating new leads for me to pursue as I look beyond my current projects. Turn the skills that you already have into services that clients want to pay you for. Apply my exact framework to identify the types of clients who are perfect for the type of freelancing business that you want to build. Avoid the #1 mistake that freelancers make that practically guarantees that they'll forever struggle to get paid what their worth, no matter how hard they work. Create an Ideal Client Profile so you can identify exactly what you're looking for in a great client (and communicate this in a way that generates referrals). Hint: most freelancers struggle because they've never done this deep work! Discover how desirable clients actually look for freelancers (you'll be surprised at what works and what doesn't). Get my exact scripts for getting introduced to your target clients, with no awkwardness or hard-selling (I did this as super shy 20 year-old, you can do it too!). Leverage meetups, events, and online communities to explode the size of your network even if you presently "don't know nobody". Build a Client Acquisition Plan that you can follow week-by-week to continuously get in front of ideal clients. Find enough clients to be as busy as you want without spending a dime on paid traffic, chatbots, blogging, "funnels", etc. Follow the exact outline that I use to repeatedly close business, and quickly disqualify prospects that aren't the right fit. Learn the real reasons why clients buy or don't buy (it's not what they tell you), and how to win the deal before you've even written the proposal. Get access to the proposal format that has consistently closed projects (even though my price is often the "highest quote"). Use pricing models that are proven to get higher rates (and avoid disastrous pricing mistakes). Get off the treadmill of needing endless new clients to support yourself and the simple business shift that leads to multi-year engagements and avid referrals. Avoid the painfully common errors that most freelancers make which destroy client relationships (you won't believe how easy it is to make some of these). Prevent "scope-creep" in your projects and never be stuck working hours that you're not being paid for. Create clients that are absolutely positively madly in love with you. Hear how Freelance Start student Daniel Barbour got clients after starting with no experience. Each module consists of detailed step-by-step video lessons that have been carefully developed and revised to walk you through building up a freelance client base. Never be left wondering what the "next step" is. Every lesson ends with a clear summary of the actions to take after viewing it. Get access to proven scripts, templates, and worksheets based on the materials and processes that I created for my own website development business. Not sure how to reach out to people in your network? There's a script for that. Not sure what questions to ask at a sales meeting? There's a script for that too. Need to write a proposal? I've got you covered with a template that has helped me close 7 figures worth of business. All lesson videos are closed-captioned, and also available in high quality audio .mp3 format as well as transcribed into downloadable PDF format. Learn in your favourite format. "One of the most valuable parts of the course is the sharing and case studying. We can "learn" a concept easily. But it's a different matter to actually integrate the concept into our practice. " Get 2 private 1 hour calls with me (book anytime within a year). The full Freelance Start Course with 7.5 hours of step-by-step lesson videos. Email access to me for 3 months. 2 private 1 hour calls with me. Or 12 payments of $99 per month. My skillset is ______. Is Freelance Start a good fit for me? Freelance Start is intended for anyone that has a creative or technical skillset. Examples include app developers, programmers, graphic designers, writers, marketers, and any other skill that a business or nonprofit clients are likely to need. This is NOT a course on how to get "side gigs" like mowing lawns, delivering groceries for people, or driving for a ride share. Am I good enough at my skillset to freelance? Almost certainly yes! Clients exist at all levels of budget and experience level. If you're starting out, don't expect to be winning a Fortune 500 client tomorrow, and there's no need to do so. There are countless "mom and pop" small businesses whose budget doesn't allow them to hire a seasoned professional. And they still need help! Case in point: I sold my very first website, as a complete amateur, to a client who only had $300 to spend. I gained value experience working with a client, and the client got a website for an extraordinarily reasonable price. My experience and price increased with every project. Now my minimum budget is $20,000. And I regularly close deals worth several times that. Don't let a lack of experience stop from getting started. If you know enough that an average company would hire you for an entry-level position for that skill (eg. junior developer, junior copywriter, etc), then you are good to go! What makes Freelance Start different from other courses? I have spent years breaking down what makes a successful freelance business, and converting that into a step-by-step process. On top of my own 12 years of experience in web development, I have poured through 150 hours of interviews with successful freelancers and agency owners. And I have spoken with hundreds of freelancers who are struggling. These are not random tactics jumbled together into a "course". This is step-by-step learning, based on real world data and experience. I have been freelancing for a while, can I still take this course? Then Freelance Start can help you transform your business. It took me years to figure these things out in my own website business. How long will it take me to find clients? If you follow the course roughly at the intended pace, I expect you to have a detailed client acquisition plan within 3-4 weeks. From there the time to win that first client really depends on how quickly and diligently you execute that plan each week and also the type of clients and projects that you're seeking. For example selling services to small businesses tends to be the fastest route, because they can make decisions quickly, often within weeks. Nonprofits are slower since they often have a more complex approval process such as requiring approval from a board. And selling a major project to an enterprise could take many months. However Freelance Start is a self-paced course, so you're encouraged to work at the pace that makes sense for you. As long as you do the work, put in consistent effort each week you'll get there. What if I discover that the course isn't right for me? If Freelance Start does not deliver on your expectations, then I don't want your money. Your investment in this course is protected by my 100% Risk-Free 60 Day Guarantee. That's more than enough time to try out every lesson in this course and if you selected the Premium option, to have received extensive help from me personally. You are receiving lifetime access to all future versions of the Freelance Start course materials. You're starting your transformation immediately, with zero risk to you (thanks to my 100% Risk-Free 60-day Money-Back Guarantee). So where will you be next year? Still sitting at your cubicle daydreaming about living the freelance life? Or will you have spent a year turning that dream into reality? "When I decided to leave my agency job and freelance, my biggest fear was "how will I find enough clients to sustain a living?" 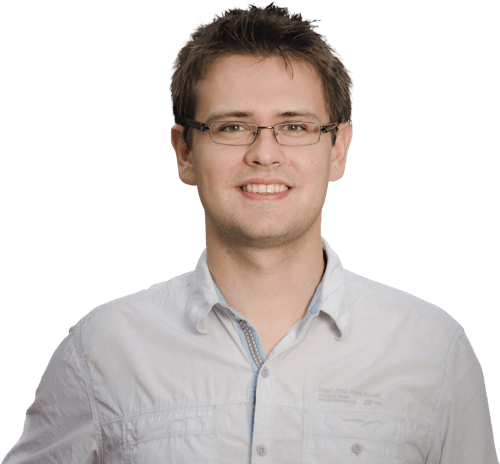 Matt's advice on finding clients was practical and accessible. The course is not about fancy or expensive tricks for marketing. It is practical, time-tested, foundational advice for refining a business focus and leveraging connections to identify people who could benefit from the services I offer. The very practical approach has also changed how I work with clients. My proposals and projects are now better focused on my clients' business goals. I onboard clients and communicate with them more intentionally. I am finding that my projects are better kept in focus, my work is more exciting, and my clients are happier, seeing a direct connection between my work and the results they are looking to achieve. The course has strengthened my confidence in my ability to find new work when I need it, and I have developed capacity in my business to be selective about the projects that I take on." 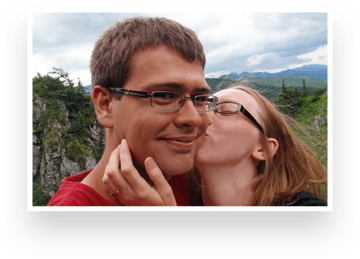 "Matt helped me better understand the value of the clients I have so I can make better decisions on the clients I want to attract and work with in the future (and, conversely, the types of clients I want to avoid like the plague). This is going to pay big dividends for my consulting firm in the near future. I highly recommend Matt's work." "I have been involved with at least 15 major online course, program, book and software launches over the past few years. And in spite of that, I was blown away by the quality of the Freelance Start course Matt has created. There's no doubt in my mind he is totally committed to doing whatever it takes to have his students be successful, and that kind of dedication and commitment is something we should all strive toward." If you complete the exercises in Freelance Start and feel that you have NOT received at least several times the value of your investment in the course, then I don't want your money. That's why I'm extending an iron-clad no-catch 60-day money back guarantee. Go through all the modules in the course. Complete the exercises and put that material into action. Get 3 months of email support from myself (and private calls in the premium option). If you decide that all of the above has not created real value for you, no problem. Email me at anytime within 60 days of purchasing the course. Let me know why it fell short for you, show your work (for my reference only, I have no intention of keeping your money because you "didn't do enough"), and I will refund your entire Freelance Start tuition. No excuses or small print exceptions.